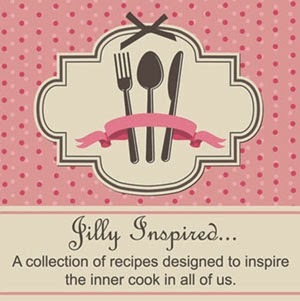 Jilly...Inspired : Secret Ingredient Creamy Tomato Soup ~ Lightened Up with Less Sodium. Fresh Tomato Flavor! 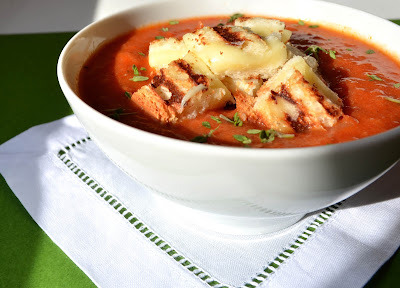 Secret Ingredient Creamy Tomato Soup ~ Lightened Up with Less Sodium. Fresh Tomato Flavor! During the long drive home from visiting my sister and her husband in Pennsylvania, we stopped at Panera Bread Company for a quick bite to eat. I ordered their classic grilled cheese with a bowl of creamy tomato soup. It hit the spot. I declared, to my husband, that I must create a version of their tomato soup, only lighter and with less sodium. On Sunday I set out on my culinary mission. The result is this beautiful bowl of pure comfort. Creamy and satisfying with a bright fresh tomato flavor, accented by herbs and good olive oil. 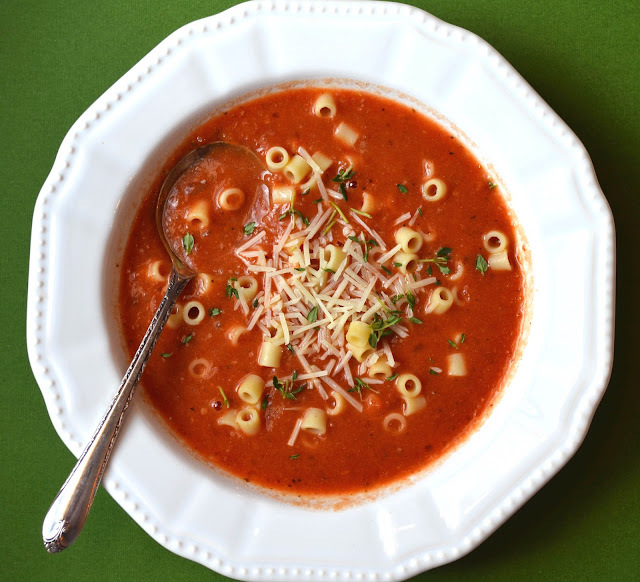 Yes, you can have your delicious bowl of creamy-tomato-soup-with less-saturated-fat-and-sodium and eat it too. There's a secret ingredient that makes it smooth and thick without adding extra fat. Trust me, it works like a charm in this soup and practically all soups, stews and gravies. I was so eager to share this recipe with you. I think you're going to love it! If you've traveled a far distance by planes, trains and automobiles and you're tired of eating out and in need of some home cooking, then make this soup and pair it with a grilled cheese sandwich. Better yet, throw a few grilled cheese croutons on top and be happily satisfied (recipe below). It'll calm your jet-lagged nerves. There are a few different ways you can enjoy this scrumptious soup. 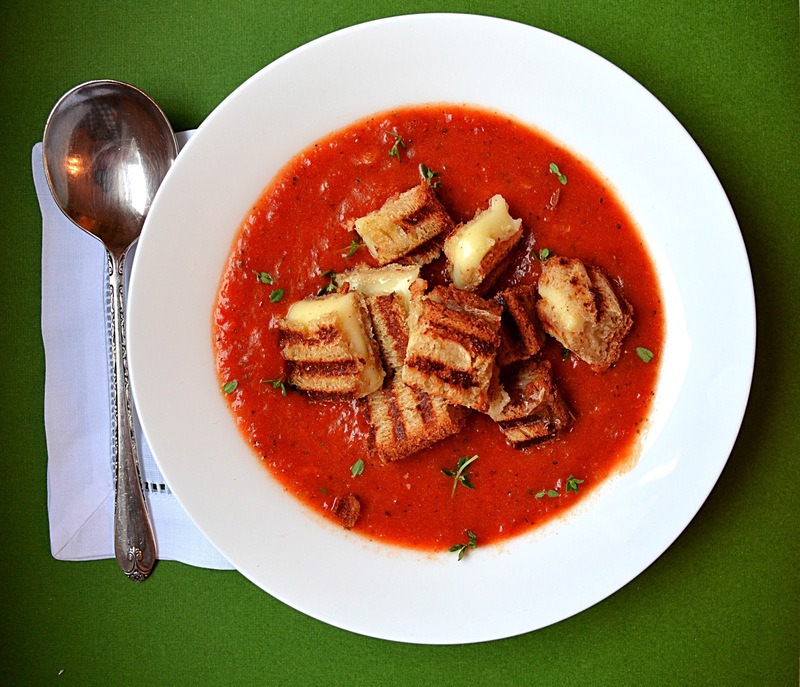 Grilled cheese croutons, piled high on top of a steamy bowl of tomato soup are a match made in Heaven. Small tube-shaped pasta or alphabet pasta and/or a sprinkling of fresh herbs and Parmesan cheese is another option. Keep it vegan by omitting the dairy all together and adding a generous drizzle of good quality extra virgin olive oil. It's creamy with or without the diary. Make it gluten free by using gluten-free bread for the grilled cheese croutons. A bit of smoked Spanish paprika lends a back note of mild spice and smokiness which I love. It kicks this soup up just a notch without making it too spicy. I use Safinter Smoked Spanish Paprika. It's velvety smooth and just delicious. Penzeys Spices makes a good one too. This is a simple recipe, but the ingredients should be of high quality. So break out the good olive oil and seek out the best canned tomatoes you can find. I use Muir Glen Organic Whole Peeled Tomatoes in this recipe. Garnish the soup with your favorite herbs. I happen to love oregano and marjoram with tomatoes. Use whatever herbs you love. A sprinkling of fresh thyme upon serving adds an herbal finish. Basil and/or parsley would also work. I strongly recommend adding fresh herbs at the end. Low fat milk, light cream, half and half or heavy cream can be used here. One reader told me she used evaporated milk to enhance the taste without adding cream. You can mix it up by adding some milk and some cream too. I mixed in a little light cream with low fat milk. Let's talk potato starch for just a bit. It's an easy, inexpensive, all purpose, tasteless, gluten-free thickener to use in soups, stews, sauces and gravies. Some people have found it in the kosher section of the supermarket. Mix it with cold water and then immediately stir it into the soup. 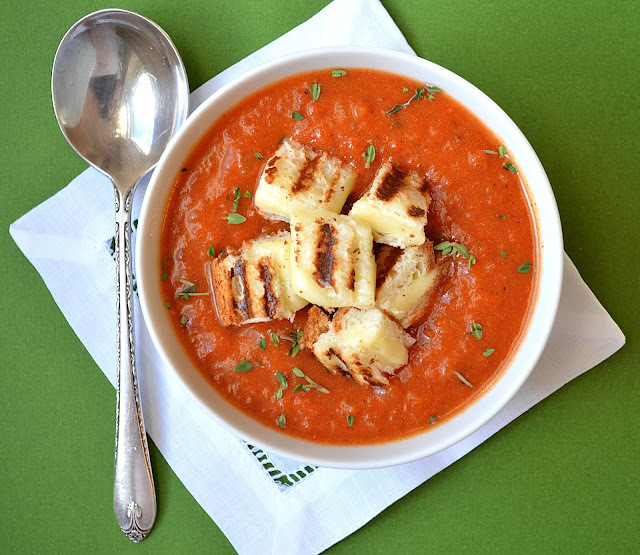 Voila, instant creamy tomato soup with half the fat and calories. Yes, this is the secret ingredient that I'm sharing with you. Last but not least, my favorite, Rupunzel No Salt Vegan Bouillon Cubes, are clean tasting without any off-putting vegetable aftertaste like some of the other supermarket stocks, broths and bouillons. Some brands can ruin a simple soup. Rapunzel is my go-to choice when I have no energy to make my own veggie stocks. It's the best vegetable bouillon I've found on the market. I buy it at Whole Foods or on line. Double this recipe if serving more than 4, and/or if you want leftovers for a few workweek lunches or dinners. 1 28 ounce can of best quality whole peeled tomatoes. I use Muir Glen Organic, see notes. 2-3 minced garlic cloves. I use a microplane zester to mince the garlic. 6 tablespoons of low-fat milk or a combo of low fat milk and light cream (omit the cream for a vegan soup). A sprinkling of fresh thyme or fresh herb of your choice. 1 1/2 tablespoons of potato starch mixed with 1/4 cup of cold water to thicken the soup (see notes). Add Ins: Drizzle of good extra virgin olive oil, cooked small shaped pasta, Parmesan cheese or grilled cheese croutons (recipe below). In a soup pot or deep pot, saute the onions in the olive oil with salt and pepper over medium heat until soft and tender. It helps to cover the pot on occasion to help the onions cook faster. Be careful not to burn or color the onions too much. Once the onions have softened, add the dried bay leaves, oregano, marjoram and smoked paprika. Saute for one minute. Then add the tomatoes, 1 1/2 cups of water, the minced garlic, the Rapunzel bouillon cubes, a drizzle of honey and salt. Bring to a boil. Taste and correct the salt, adding more salt if necessary. Reduce heat to low and simmer covered for about 15 minutes. Remove bay leaves. Blend with an immersion blender until you reach your desired texture. Add the potato starch to the water and stir into the soup. Simmer for an additional minute or two. Remove from the heat and add the milk or cream (if using). Garnish with the add-ins. Fresh herbs are divine! Grilled Cheese Croutons: I used whole grain bread and a few slices of low-fat cheese to make a grilled cheese sandwich in my panini press. I cut the sandwich into small squares and topped the soup with them. Instant comfort! 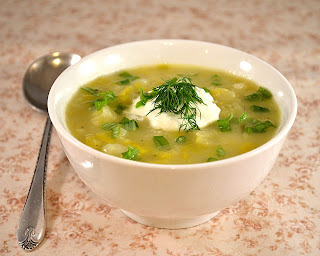 Lightened Up Leek and Potato Soup ~ All the creaminess you crave!